As of 2007, 61% of the Singaporeans register themselves as Buddhist by religion. Adherents of Buddhism are mostly by the Chinese majority ethnic group, although small minorities of Sinhalese and Thai Buddhists do exist as well. Chinese Mahayana Buddhism is the most prevalent form of Buddhism in Singapore. Sizeable communities following other traditions include Theravada and Tibetan Buddhism. 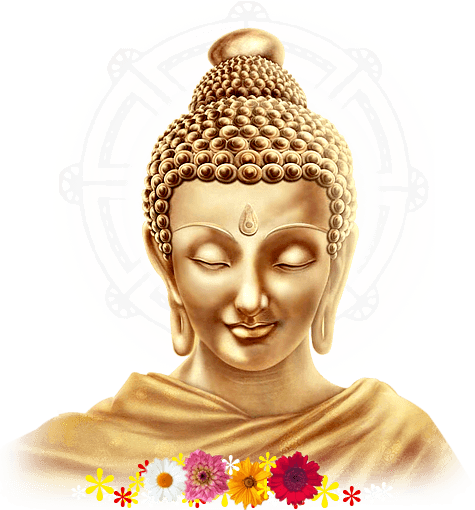 The representative organization of Buddhism in Singapore is the Singapore Buddhist Federation. The presence of Buddhism in Singapore was evident during the Srivijayan times. Buddhism remains the main religion in Singapore with more than three-fifth of its population declared to be adherents of the faith. In line with ancestorial practices, many of the Chinese inhabitants also mix in Taoism and Confucianism to Buddhism. By virtue thereof, there is a strong trend blending towards Thai Buddhism, especially amongst the younger generation Singaporeans, which is seen to bear cultural similarities for its ability in encompassing Chinese culture and practices as represented in Taoism. Buddhism as represented by Theravada Buddhism, the oldest Buddhist school of thought, is seeing a potent growth in Singapore in the past decade. In recent years, due to the increasing publication of Buddhist books, the appearance of internet sites in English, the availability of modern Buddhist music as well as courses conducted in English, more and more English-speaking Chinese, especially the younger Singaporeans, are joining Buddhist circles. As a nation of immigrants, majority from mainland China, Buddhism in Singapore inevitably took the form of Chinese Mahayana perspection. Therefore practitioners of Chinese Mahayana remain the majority of the Buddhist populations in Singapore. However, the rise of Thai Buddhism in Asia, which denomination rests on the oldest school of thought of Theravada Buddhism, there is a strong proliferating trend of averting to this intrinsic form of Buddhism. Another sect of Buddhism that is seen making slow inroad into Singapore is Tibetan Buddhism that seems to benefit from the writings of western monks and writers (e.g., the Dalai Lama, Thubten Chodron, Tenzin Palmo). Singapore's Buddhist temples and religious circles are highly organized and very often have a connection with foreign religious organizations, especially in China, Taiwan, Thailand, the USA, the UK, Sri Lanka, etc. Many foreign Buddhist associations and temples have also established branches in Singapore to propagate Buddhist teachings and activities. Buddhist temples and associations are spread all over Singapore, ranging from small to large. The largest Chinese Mahayana Buddhist temple in Singapore is Kong Meng San Phor Kark See Monastery, whilst Thai Theravada Buddhism is represented by an equally prominent temple, the Wat Ananda Metyarama Temple. These temples hold many Buddhist activities such as chanting, meditation, retreats, and dharma talks, as well as offering Buddhist courses on dharma and meditation, very often attended by thousands of devotees and adherents of the respective lineage. Religious liberty in Singapore has also provided a conducive environment for the development of varying Buddhist practices. Furthermore, as with Taoism, Buddhism is taking a turn into a new vista with the elevation of educational levels amongst followers and devotees, where more are seen to indulge in spiritual practices and self-enhancement such as meditation, practicing mindfulness, studies and understanding of religious history and etc. with proper altar set up at home for paying homage to Lord Buddha.